How many free zone parks does the Dominican Republic have? How many companies operate? Currently, there are 68 free-zone parks and 645 companies (Statistical Report 2016). What is the economically active population? What is the unemployment rate? The economically active population is 4.6 million people and the unemployment rate is 13.3%. Are there international banks established in the Dominican Republic? Yes. Scotiabank, Banesco and Promerica have operations in the country. In addition, there are the following national commercial banks: Banco de Reservas de la República Dominicana, Banco BHD Leom, Banco Popular Dominicano, Banco del Progreso, Banco Caribe, Banco Santa Cruz, BDI, Banco Vimenca, Bancamerica, Banco Lopez de Haro and other development banks and mutual savings and loan associations. Is there a law that regulates the regime of Free Zones? Export Free Trade Zones are regulated by Law 8-90 of January 15, 1990, with the objective of promoting the establishment of new free zones and the development and growth of existing ones. Do I need to establish a company in the Dominican Republic to be able to establish a company in Free Zones? It is not necessary to establish a company in the Dominican Republic in order to operate a company within a free zone park. Dominican law recognizes the following types of corporate structures and business forms and sets forth a general framework that may be used by the parties to regulate everything from an entity’s name, capital, and transfer provisions to the administration and supervision of these entities, decision making of their corporate bodies, transformations, mergers, divisions, and corporate dissolutions. The corporation (Sociedad Anónima) is an entity with a legal existence formed by two or more partners who only assume the risk of losses up to their capital contributions. The corporation structure has been designed for the purpose of organizing companies that require, above all, important levels of control over their corporate governance. Corporations may or may not seek funding from the securities markets as a form of financing and expansion of their operations. If they do so, they will be required to obtain an authorization from the Dominican Republic’s Securities Superintendent. Capital and Transfer Provisions: Corporate capital is represented by shares, which are essentially negotiable securities. The minimum authorized corporate capital is RD$30,000,000.00 and 10 percent of such amount always must be paid and represented by outstanding shares. The law does not establish any restriction on the assignment of shares. Nevertheless, it provides that shareholders may agree to restrictions, so long as they do not contain any permanent prohibition on the transfer of shares. Administration, Supervision, and Decision Making by Shareholders: A board of directors composed of a minimum of three members is normally in charge of managing these companies. In terms of supervision, the law establishes that corporations must be supervised by one or several vigilance officers that are named for two fiscal periods and primarily are appointed to verify the annual accounts presented by the board of directors and the documents addressed to the shareholders indicating the annual accounts and financial situation of the entity. The supreme decision making entity is the general meeting of shareholders, who annually receive a report of all the company’s operations, decide on the distribution of dividends, and approve the management’s annual report. The simplified corporation (“S.A.S.”) is a limited liability company formed by two or more partners whose losses with respect to the company’s activities are limited to their capital contributions. Unlike a corporation, this company allows some freedom to shareholders to regulate the organizational structure of the entity in its bylaws, according to the needs and objectives of the company. Capital and Transfer Provisions: The capital of a simplified corporation is divided into shares, which only can be issued in registered form. The minimum authorized capital required is RD$3,000,000.00 and at least 10 percent of such amount needs to be subscribed and paid in. Administration and Supervision: The partners may, by means of the bylaws, freely determine the organizational structure of the company, which can be managed and directed by a board of directors or by one or more directors. Also, a simplified corporation does not require the supervision of a vigilance officer, unless it issues debt instruments. A limited liability company (“S.R.L.”) is the entity formed by a minimum of two and a maximum of 50 partners, none of whom may have personal responsibility for company debts. This form of commercial organization is used for medium-sized businesses and closed capital entities. Capital and Transfer Provisions: The capital of an SRL is divided into equal parts denominated corporate quotas or units, which cannot be represented by negotiable shares or have a nominal value below RD$100.00. The minimum corporate capital of an SRL is RD$100,000.00, which must be fully paid-in and outstanding. Quotas or units, which represent the capital, are securities that are not in essence negotiable securities. These securities generally are transferable in cases of a succession due to the death of a partner, the liquidation of marital property, and among family members. The assignment of corporate units to third parties, as well as the creation of pledges on them, requires the consent of three fourths of the partners, apart from other conditions and formalities. Administration, Supervision, and Decision Making: The administration is handled by one or several managers who must be individuals and who individually are equipped with the broadest powers to act in the name of the company under any circumstances. The designation of a vigilance officer is not necessary, but the financial statements of the company must be audited. Each partner has the right to vote on SRL decisions and has the same number of votes as the corporate quotas that the partner possesses. General meetings of unit owners may be held for the approval of SRL decisions but are not necessary. An individual enterprise of limited liability (“E.I.R.L.”) is a company of limited liability that belongs to one person, that has the legal ability to exercise rights and obligations, and that forms an independent and separate entity from the rest of the assets of the person who owns the E.I.R.L. Legal entities may not incorporate or purchase businesses of this type. Capital and Transfer: The amount of contributions to be made by the owner of an E.I.R.L. may be freely established and increased, in accordance with the procedures established by law. An E.I.R.L. may be transferred in accordance with the rules established by law, but only to another natural person. A corporation duly incorporated anywhere in the world is recognized in the Dominican Republic upon confirmation of its legal existence by the appropriate authorities, according to the formalities prescribed by the law of the place of incorporation. Dominican law provides that foreign companies, as to their existence, capacity, operation, and dissolution, are governed by the law of the place of incorporation. Their operations and activities in the Dominican Republic are subject to Dominican law. Foreign companies setting a branch or permanent establishment in the Dominican Republic or that regularly engage in commercial transactions in the country must be registered in the Commercial Register and join the National Taxpayers Registry kept by the Directorate General of Internal Revenue. Dominican law recognizes the equality of foreign companies with local companies and, therefore, declares that they have no obligation to provide any kind of bail or guarantee before initiating litigation. 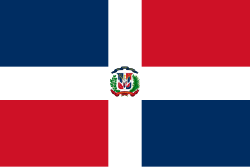 A permanent establishment is defined by Dominican legislation as a fixed place of business in which an individual or a company, either local or foreign, conducts all or part of its business, including having a place of management, offices, branches, and services, among other things, provided the fixed place exceeds six months within a one-year period. Following the enactment of Regulation No. 50-13 dated February 13, 2013, the concept of foreign company was broadened to include entities that in their home country may or may not have legal personality, such as partnerships, trusts, and branches, among others. It also requires non-resident taxpayers with permanent establishments to register before the DGII and to submit information, such as data identifying their taxpayer registration number in their country of tax residence and data concerning equity holders with more than 10 percent of the capital or interest in such non-residing person or entity, in addition to any other information that may be required from any taxpayer. Likewise, non-resident permanent establishments are required to appoint a local taxpayer to represent it with respect to its tax obligations and to notify the DGII of the appointment. This designation of a local representative also is required for persons or entities residing in countries or territories with preferential tax regimes that have low or no taxation or that are considered tax havens if they own property or rights in the Dominican Republic. The law also provides corporate processes that previously were not legally regulated, such as mergers and divisions, increases and reductions in subscribed capital, and the dissolution and liquidation of commercial companies. In addition, it provides for detailed fiduciary duties of directors and includes penal provisions to punish violations of the law by companies and their managers. Can I own land or any type of real estate? Until a few years ago the purchase of real estate by foreigners was subject to obtaining authorization from the President of the Republic. These restrictions were eliminated by granting foreigners the same real estate purchase rights as Dominican nationals. Are there different types of industrial parks? There are three types of industrial parks: public, private and mixed. Public parks are managed by a governmental institution, the Industrial Development and Competitiveness Center (ProIndustria) (www.proindustria.gob.do), private parks are run by private companies or groups and mixed ones are run by non-profit organizations. Is there a minimum wage in the sector? The legal minimum wage is RD $ 8,310.00 (Approximately US $ 175.50). However, the actual salary paid varies depending on the sector in which it is located, the capacity of the employee, its technical preparation, among other factors. RENTAL PRICE IN THE FREE ZONES PARKS: Prices range from US $ 1.8 to US $ 6.50 per square foot per year. The Dominican Republic has developed a policy of promoting trade integration in Latin America and the Caribbean. The Dominican position was geared towards an approach to its closest geographic region, suggesting the formation of a strategic alliance with the countries of Central America and CARICOM. This expands the market and exporting capacity of these countries, easing negotiations with the hemisphere’s large commercial forces. The Dominican Republic already has signed a free trade agreement with Central America, a similar agreement with the Caribbean Community (“CARICOM”), and a partial international treaty with the Republic of Panama. The Caribbean nations that have formed the CARIFORUM belong to the Forum of African, Caribbean and Pacific States, which have signed a free trade agreement called the Economic Partnership Agreement (“EPA”) with the European Union that provides non-reciprocal market advantages for developing countries. The Caribbean Community or CARICOM provides for political cooperation and the creation of a common market among the English speaking countries of the region. The Dominican Republic has been part of CARICOM since August 22, 1998, when the free trade agreement between the Dominican Republic and CARICOM was signed. This agreement was ratified by the Dominican National Congress in January 2000 and liberalizes more than 85 percent of products traded between both markets, benefiting an estimated 47 million consumers. The agreement also seeks to promote the active participation of the private sector in an effort to deepen and expand economic relations between the parties. On April 16, 1998, the Central America-Dominican Republic Free Trade Agreement was signed. The signatory countries were members of the Central American Economic Integration System, composed of Costa Rica, El Salvador, Honduras, Nicaragua, and Guatemala. It was ratified in March 2002. The treaty provides for trade in goods and services and the protection and promotion of investments. It is consistent with WTO principles. This treaty opens to the Dominican Republic a potential market of about $30,000 million and more than 40 million consumers. The Association of Caribbean States was created in 1992 to implement ideas for the growth and consolidation of economic relations among its members, as well as the development of strategies leading to an increase of comparative advantages. An agreement between the AEC and the Dominican Republic, which came into force in 2001, provides for the free access of goods, elimination of non-tariff barriers, rules of origin, and investment promotion, among other things. Under this agreement, Dominican products have preferential entry into Jamaica, Barbados, Trinidad & Tobago, Guyana, and Suriname. A further liberalization in the services market is expected. A treaty between Panama and the Dominican Republic was signed on February 6, 2003. The treaty provides a list of free products tariffs betweenthe two countries as well as a list of free products in one-way for one party and the other. The main advantage for the Dominican Republic is the preferential entrance of its products into Panama, a nexus of global trade. FREE TRADE AGREEMENT BETWEEN THE UNITED STATES, CENTRAL AMERICA AND DOMINICAN REPUBLIC (“DR-CAFTA”). The Free Trade Agreement between the Dominican Republic, Central America, and the United States, in force since 2007, is the most extensive free trade agreement in force in the Dominican Republic. It provides for the complete elimination of tariffs by 2015, even on products with local competition, as well as the modernization of the public procurement process, allowing signatory countries to participate in this previously restricted market. The commercial opportunities of DR-CAFTA surpass those of any other instrument signed by the Dominican Republic, with all possible tariff items and superior facilities to other WTO members to participate in the services sector, resolve disputes, and protect investment. What are the main export industries that operate in the Dominican Republic free zones? 27% of companies established in the free zones of the Dominican Republic are engaged in the manufacture of medical devices and pharmaceutical products, 20% textile and apparel mfg., electrical products and electronic components 15%, cigars and tobacco products 13%, footwear 8%, agribusiness 4%. ; We also have companies that deal in data processing, software design and services that are offered through call centers. Do foreign investors have access to credit and local financing? Prior to Law 8-90, local financing was not available to foreign investors. Currently, Dominican individuals and institutions can give credit or financing to companies in free zones, subject to regulations of the monetary board. Companies established under the Free Zone Regime are not subject to foreign currency exchange restrictions. Except for the monthly operating expenses report, free zone companies have no obligation to remit or account for company earnings. Free zone companies must pay their monthly operating costs in Dominican pesos. What is the procedure to establish a company within Free Zones? How long is the process? Which institution grants the permit? The procedure takes approximately 30 days from the date the required documents are received. The operating permit is granted by the National Council of Free Export Zones, which is the entity that regulates and supervises the operations of free zones in the Dominican Republic. What are the incentives to invest in Free Zones? The payment of duties on the importation of transportation equipment, such as trucks, garbage trucks, microbuses, minibuses for the transportation of employees to and from work, subject to the prior approval, in each case, of the National Free Zones Council. Such vehicles shall be nontransferable for a period of a period of at least five (5) years.